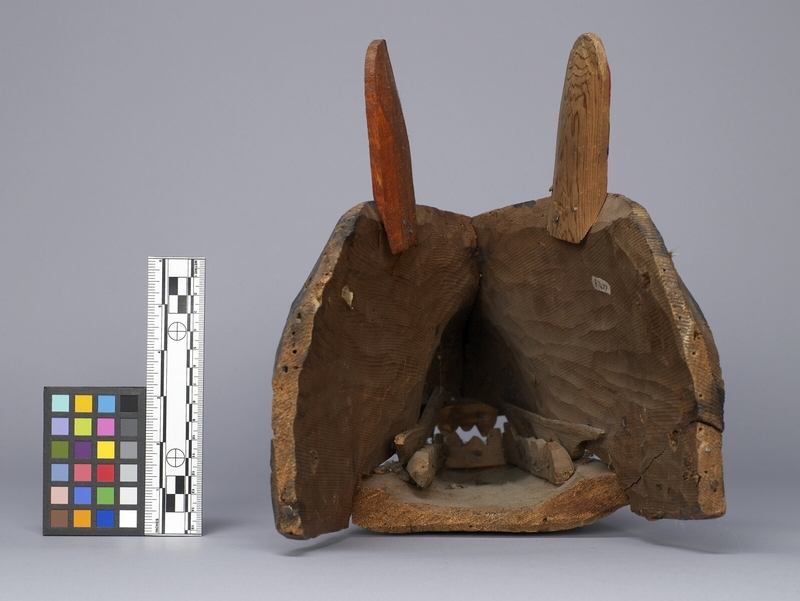 Item number A7477 from the MOA: University of British Columbia. 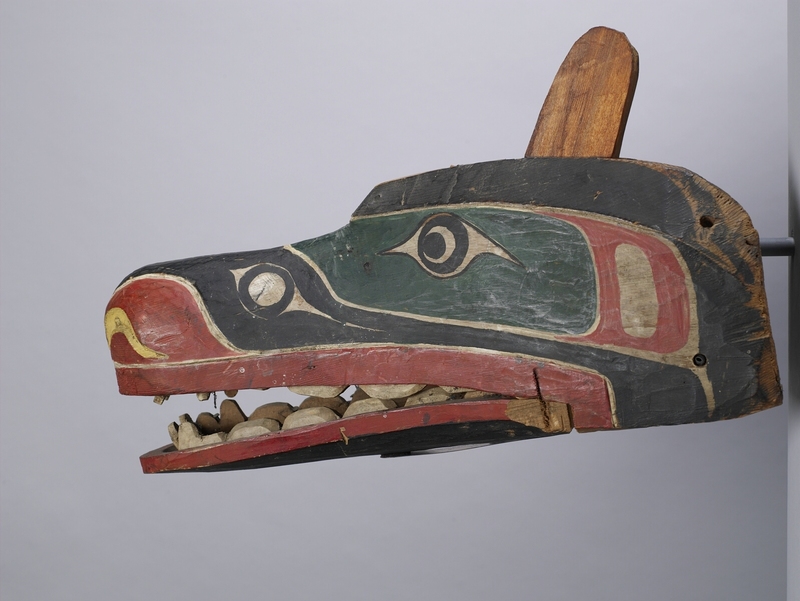 Headdress in the shape of a wolf's head with a movable lower jaw. 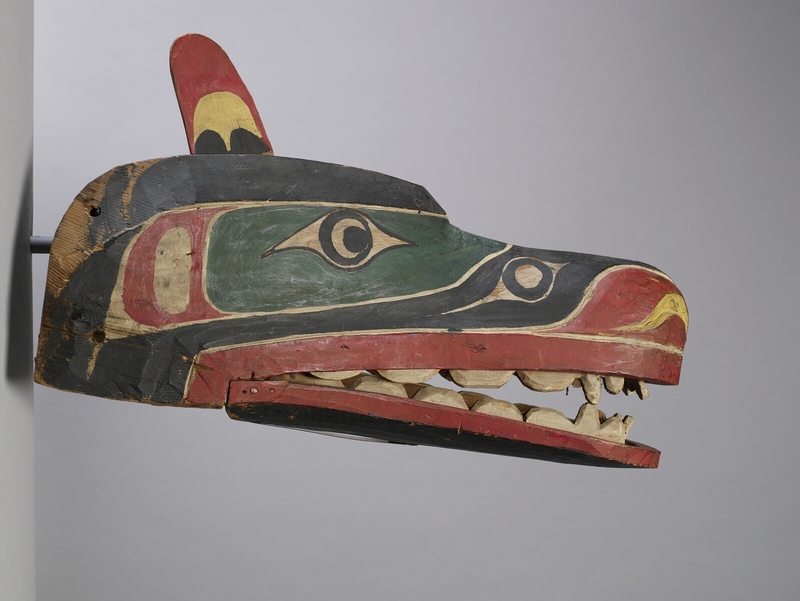 The mask has rounded ears that protrude above the brow, and the muzzle is elongated with prominent nostrils and two rows of teeth. 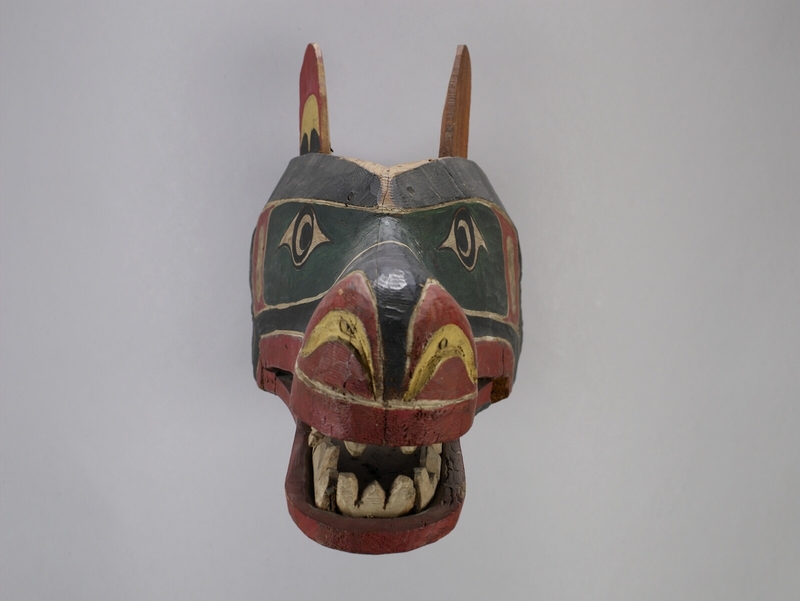 The mask is painted with heavy black brows, green around the eyes, black above the upper lip and over the muzzle, red and off-white nostrils, red lips, and off-white teeth. There is also a black and white design element on the sides of the muzzle, a red design element beside the eyes, one orange ear and one ear with a red, white and black design. Used in 'Walasaxa dance; also called ddlugwala, receiving a treasure.